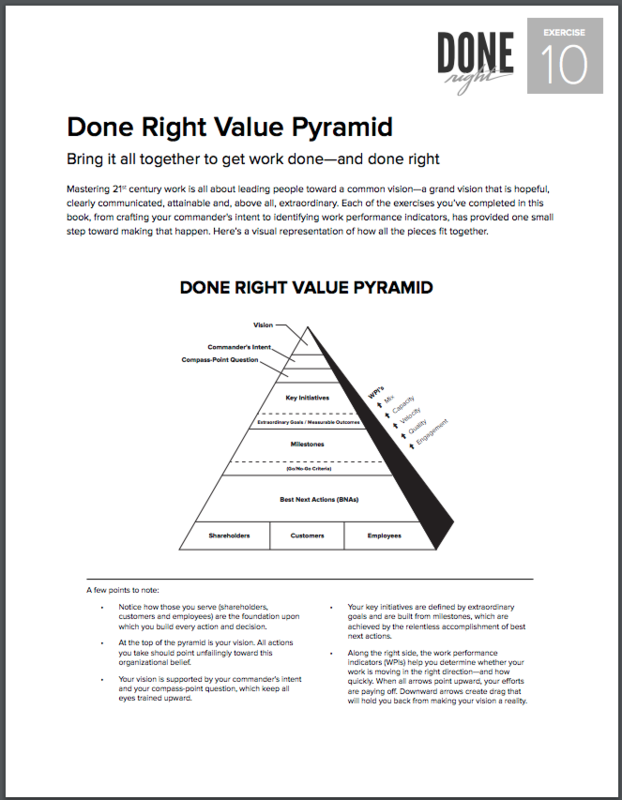 How Tomorrow's Top Leaders Get Stuff Done. Work is getting whipsawed. Teams are geographically distributed, digital strategies are shattering organizational hierarchies, competition is multi-directional, and digital natives are overturning company long-time norms. Modern work needs new masters to rise up and lead in this environment. Does your team know the “why” behind their work? Do they believe that it matters? 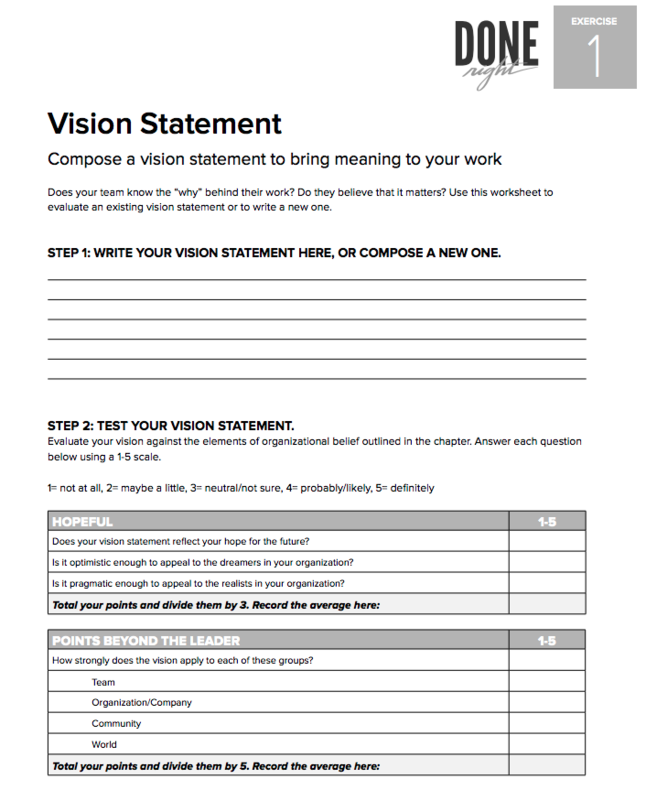 This exercise will help you write and test your vision statement. Chapter 2: Who Do You Serve? 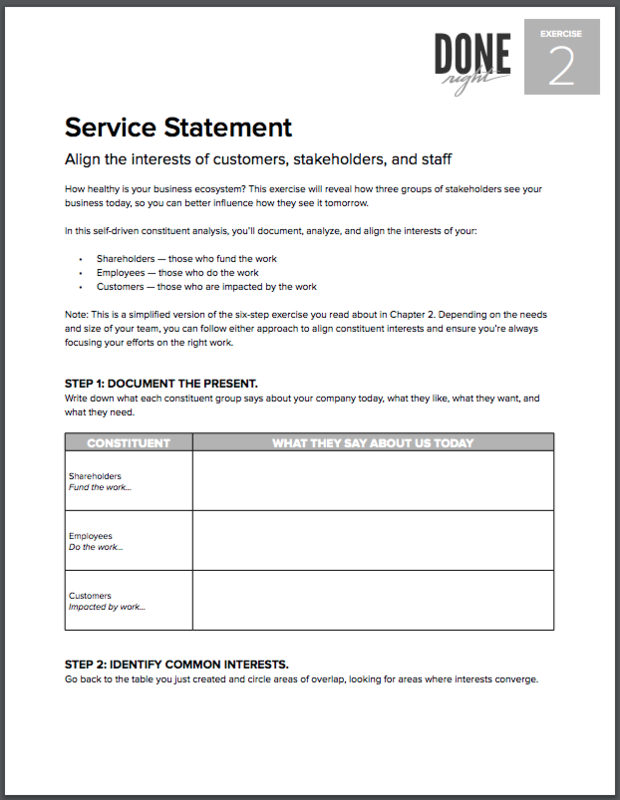 Have you aligned the interests of customers, stakeholders, and team members? 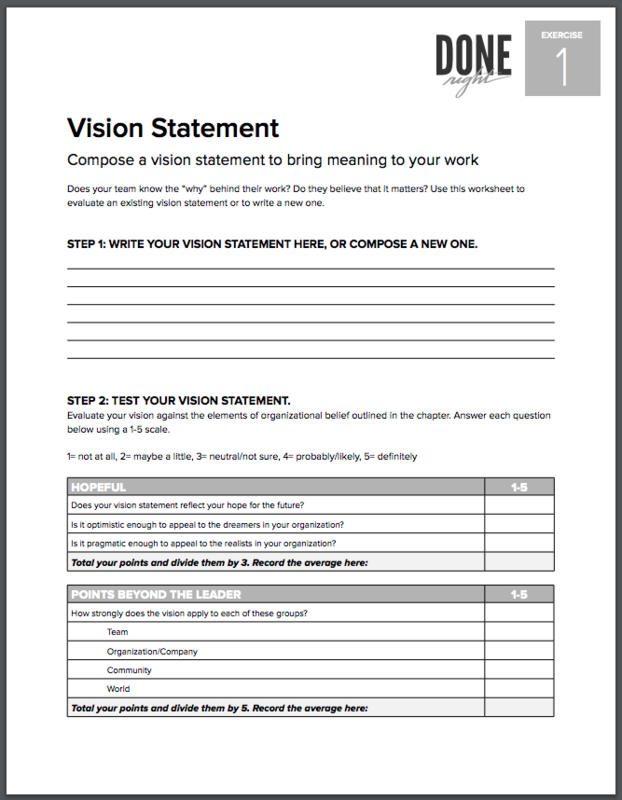 This exercise will reveal how these three stakeholders see your business today, so you can better influence how they see it tomorrow. 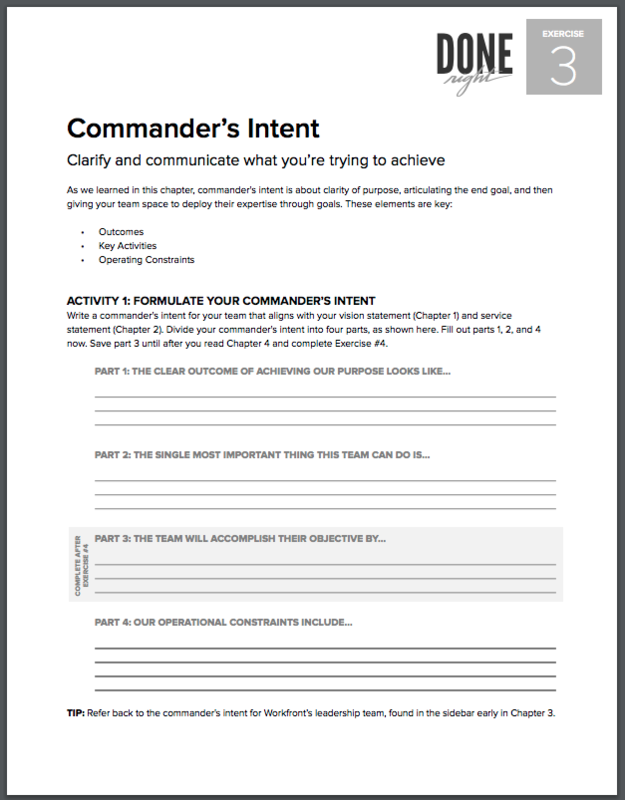 Commander’s intent is about clarity of purpose, articulating the end goal, and then giving your team space to deploy their expertise through goals. 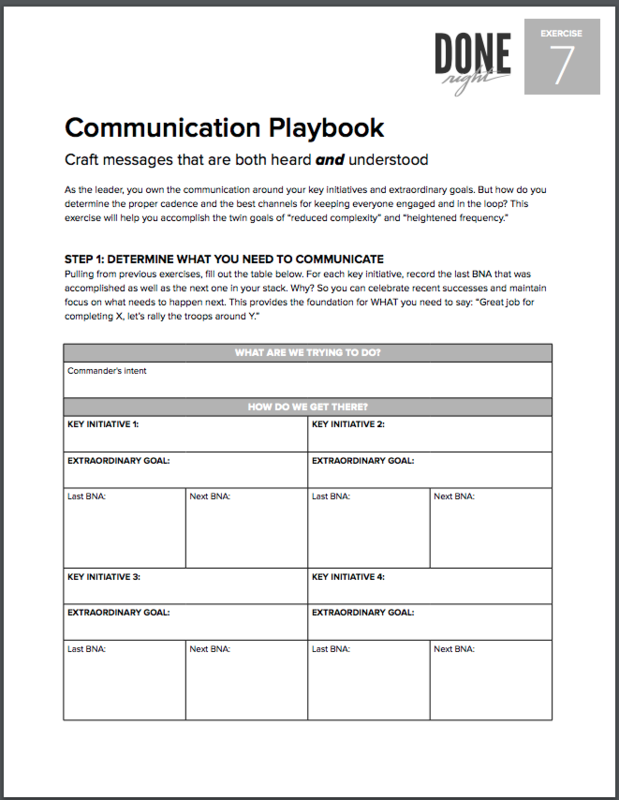 This exercise will help you articulate commander’s intent. Do you know the difference between an extraordinary goal and a pipe dream? 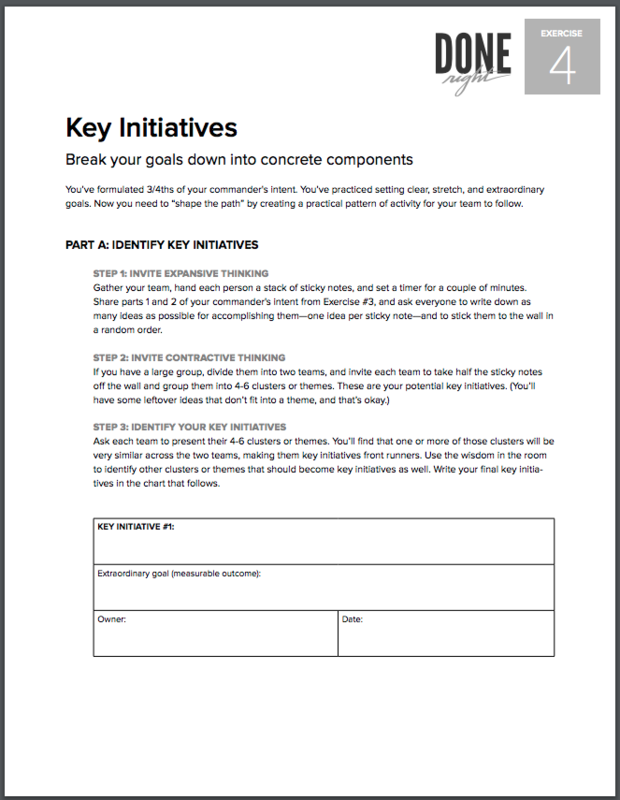 This exercise will help you need “shape the path” by creating a practical pattern of activity for your team to follow. Do you know what your guiding force is so you can maintain momentum? 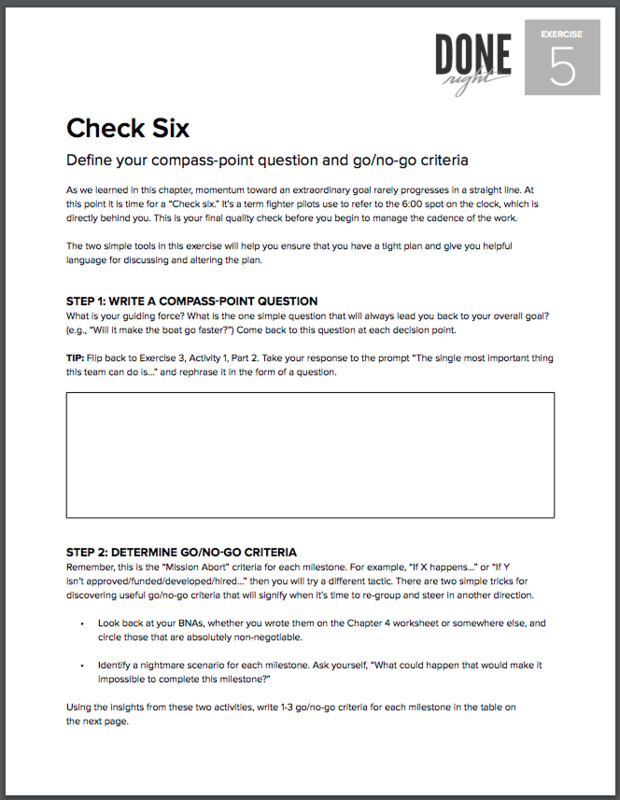 This exercise will guide you to define your compass-point question and your go/no-go criteria. Every leader must master certain skills when striving to stay focused. 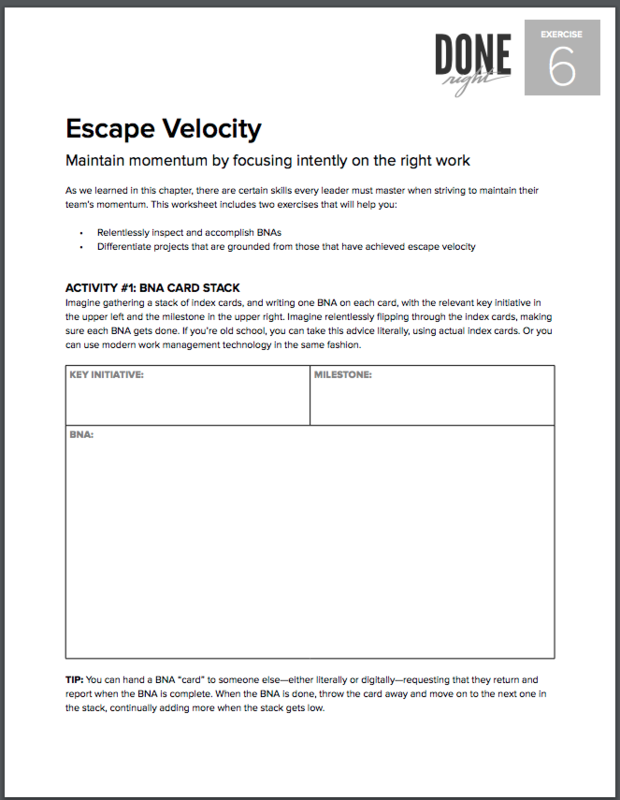 This exercise will help you accomplish your best next action and differentiate projects that are grounded from those that have achieved escape velocity. We have very little control over the external variables that make plans go awry. This exercise will help you build resilience in the face of adversity. 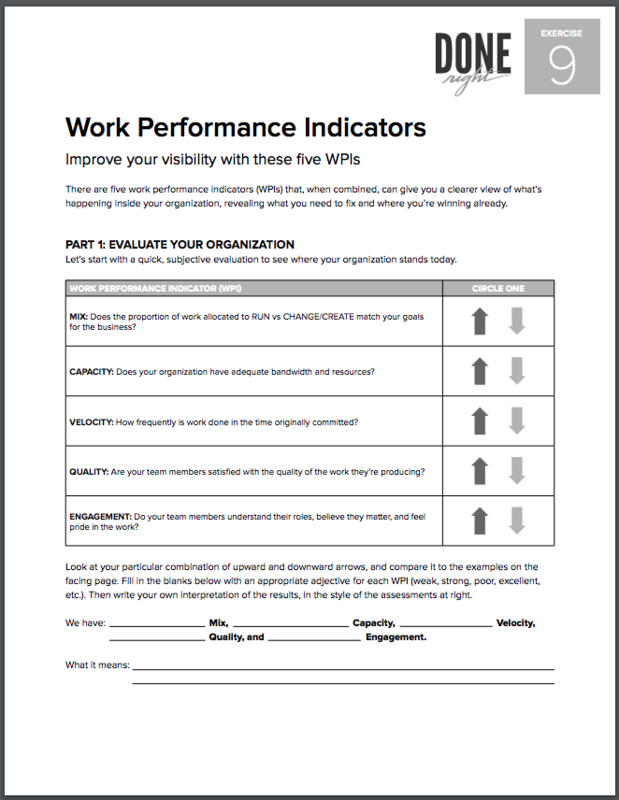 Five Work Performance Indicators (WPIs) can give you a clearer view of what’s happening inside your organization. 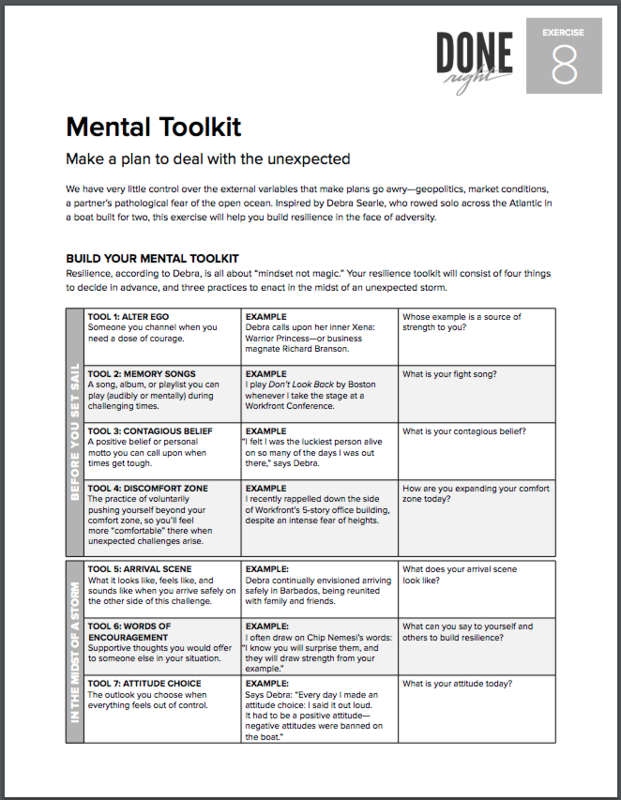 This exercise will reveal what you need to fix and where you’re winning already. Mastering twenty-first century work is all about leading people toward a common vision — a grand vision that is hopeful, clearly communicated, attainable and, above all, extraordinary. Each of the previous exercises has provided one small step toward making that happen. Here’s a visual representation of how all the pieces fit together. 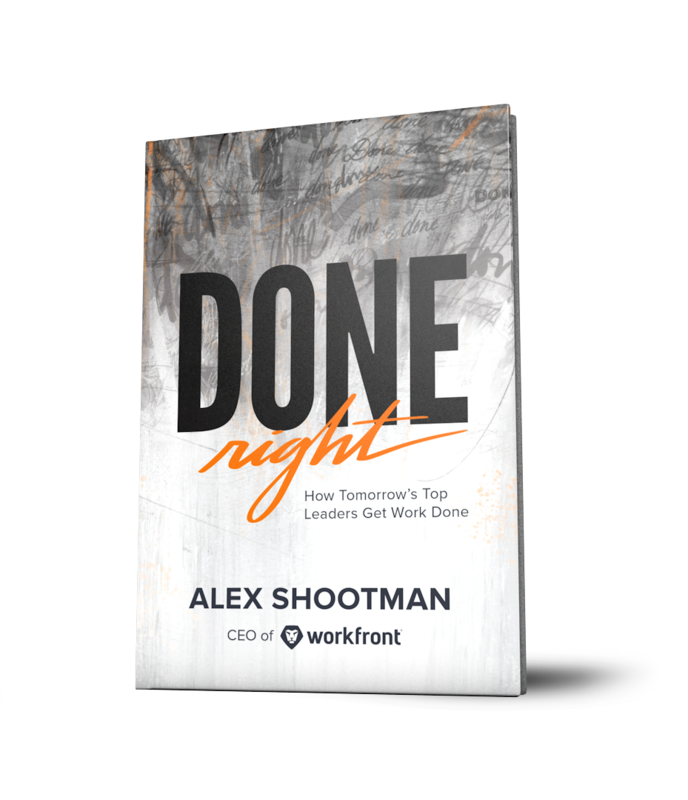 "This is the go-to book for how to get work done—as Shootman says—right!" Alex Shootman, President and CEO at Workfront, is fortunate to have more than 25 years of leadership experience at technology companies ranging from IBM, BMC Software, and Vignette to modern SaaS-based companies like Apptio and Eloqua. Along the way he established a reputation for ‘Getting it Done’ and ‘Doing it Right’ in high-pressure situations. He is married to his college sweetheart, Brettne, who still laughs at his bad jokes after 34 years and celebrates when his clothing is back in style every 8 years. Together they have four great kids, Will, Sam, Remy, and Tara. In his free time Alex can be found trying to convince his legs that they really don’t hurt on a road bike, admiring the view from a 14er in Colorado, or breathing bubbles down on a reef in his home state of Hawaii.